Ultrasonic cleaning equipment manufacturer. Supplies accessories for cleaning of mini-blinds & other items. Namco offers a wide range of Floor Care Equipment, Cleaning Chemicals, and Janitorial Cleaning Supplies. Our average sales exceed $300 and our conversion rates are well above the industry average. We can offer text ads/logos/banners. to quickly post. 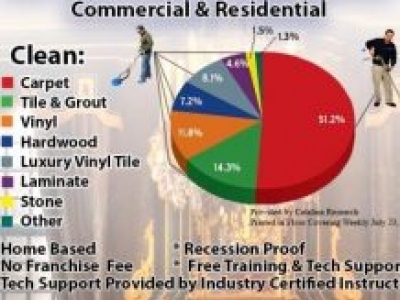 Distribution of hand-held Industrial cleaning tools to businesses in a defined geographic location. 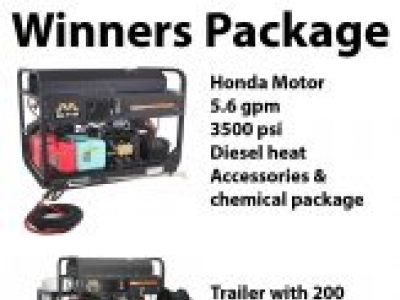 Customers include hardware and contractor supply outlets. End users include automotive, municipalities, manufacturing and warehousing. Clean acoustical ceilings without taking them down using a non-toxic detergent based solution. Clean, sanitize, deodorize any ceiling or wall surface for a fraction of the cost of painting. We are distributors of dry cleaning and coin laundry & opt. We build turn-key dry cleaning stores and coin laundries. We also need dealers to sell these stores in many states and Canada. Residential and high-rise/commercial window cleaning and pressure washing. Unique dry hot steam/vapor cleaning systems. This revolutionary cleaning concept cleans virtually any surface quickly and easily. Carpet, upholstery, drapery, blinds, water, smoke & fire clean-up & air duct cleaning.